1 FREE appetizer or dessert with 2 entrèe purchases at Pacific Grill. Click here to sign up. Save $2 at the Tahoma Market (Fife Location) car wash. Show your ACM Driver License inside the store for purchase. 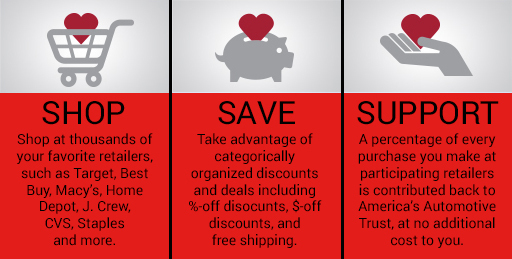 Access to Azigo, providing you with great shopping deals, with a percentage of each purchase contributed to preserving America’s automotive heritage, at no additional cost to you.